Pam shared her trick for perfectly lining up the points on your half square triangles (HSTs). 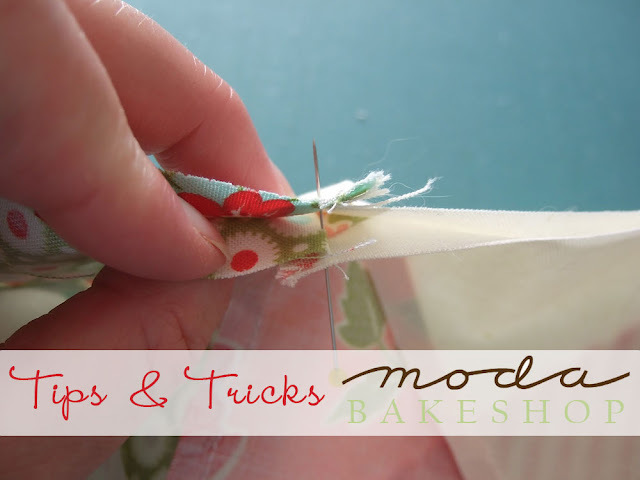 Her method prevents those “clipped” corners that can so ofter happen with HSTs. Line up your pieces and insert your pin…check to make sure that the pin is just at the point on each side of the intersection. Sew right up to the pin and then take it out. This entry was posted in Bake Shop Basics and tagged Mama Spark's World, Tips & Tricks.